يوفر فندق ريدجز، وورلد سكوير ظروف إقامة راقية وهو خيار رائج للسياح ولرجال الأعمال أيضاً. يقع في منطقة مطاعم, تسوق, سياحة من المدينة. يسهل الوصول إلى هذا الفندق ذو 4.5 نجوم من المطار، فهو يبعد عنه مسافة 13. Km فقط. يضفي محيط الفندق اللطيف وقربه من أكثر المعالم السياحية جذبًا سحرًا خاصًا على هذا الفندق. إن ريدجز، وورلد سكوير حريص على توفير الراحة للنزلاء، فلا يوفر الموظفون جهداً في تقديم أفضل الخدمات وضمان حسن الاستقبال. يمكن الاستمتاع بمجموعة من الخدمات على أعلى المستويات في الفندق كمثل خدمة الغرف على مدار الساعة, واي فاي مجاني في جميع الغرف, خدمة التنظيف يوميًا, مكتب الاستقبال على مدار الساعة, مرافق مخصصة لذوي الاحتياجات الخاصة. في ريدجز، وورلد سكوير غرف نوم يزيد عددها عن 454 صممت بذوق وعناية لتوفر لك كل وسائل الراحة . بعضها يحتوي أيضاً على تلفزيون بشاشة مسطحة, سجاد, قهوة فورية مجانية, شاي مجاني, بياضات. سواء كنت من محبي الرياضة أو كنت تتطلع لتفريغ عناء نهار صعب، ستجد خدمات ذات مستوى عالي بانتظارك كمثل مركز للياقة البدنية, مسار جولف - ضمن 3 كم. يشكل ريدجز، وورلد سكوير بخدماته الراقية وموقعه الممتاز، قاعدة مثالية للاستمتاع بإقامتك في المدينة. النزلاء الذين يحجزون الملك ديلوكس - يجب تقييد الوصول من 20:30 تحقق في بعد 20:30. غير مسموح بتسجيل الوصول قبل الساعات المذكورة. يلزم تقديم مبلغ تأميني من بطاقة الائتمان بقيمة 10 دولار أسترالي أو مبلغ تأمين نقدي بقيمة 300 دولار أسترالي عند تسجيل الوصول لتغطية الرسوم أو الأضرار خلال فترة الإقامة. سيتم ردّ المبلغ تأميني لبطاقة الائتمان في غضون 10 أيام عمل بعد الإقامة، ويتم استرداد المبالغ التأمينية النقدية عند تسجيل المغادرة، ويمكن أن يستغرق استرداد الأموال بنظام EFTPOS ما يصل إلى 10 أيام عمل. Here for just an overnighter. Super convenient with such a central city location. Let us check in early and upgraded our room. Would definitely stay here again. Late December 2018 - took my kids - ages 11, 15, 17, 19 and my parents to this hotel for a few nights of sightseeing and shopping after completing a cruise together. We intended to do some Christmas shopping, prior to returning to Melbourne. 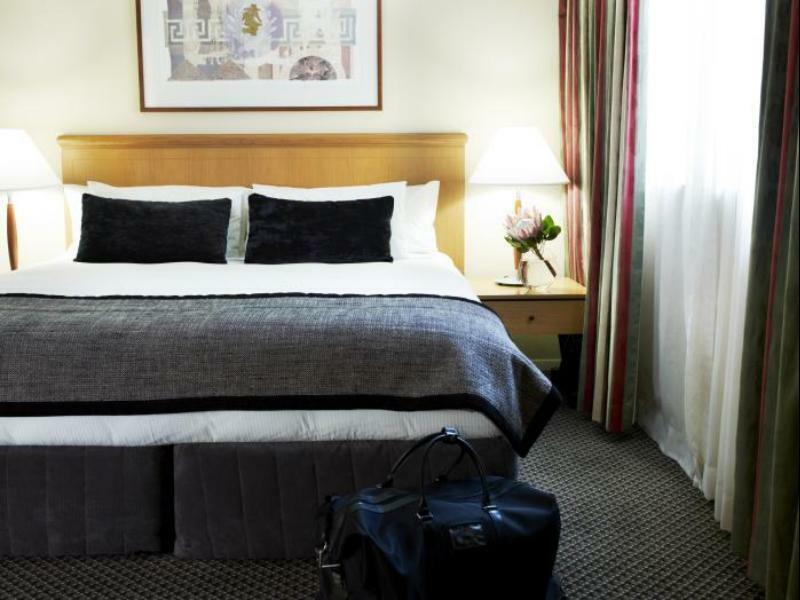 Great hotel and location - walking distance to Pitt St Mall and Darling Harbour. LOVED our time at the Maritime Museum - a definite must if in Sydney! I don't recommend walking with kids, parents and suitcases in tow from Circular Quay - but aside from that we had a great stay. Clean rooms, lovely staff, good functional gym - no pool. the location of the hotel is very convenient. the breakfast menu is pretty standard nothing special but don't worry the hotel is in the middle of everything (shopping center, supermarkets, restaurants, cafes, take aways, street foods, etc. 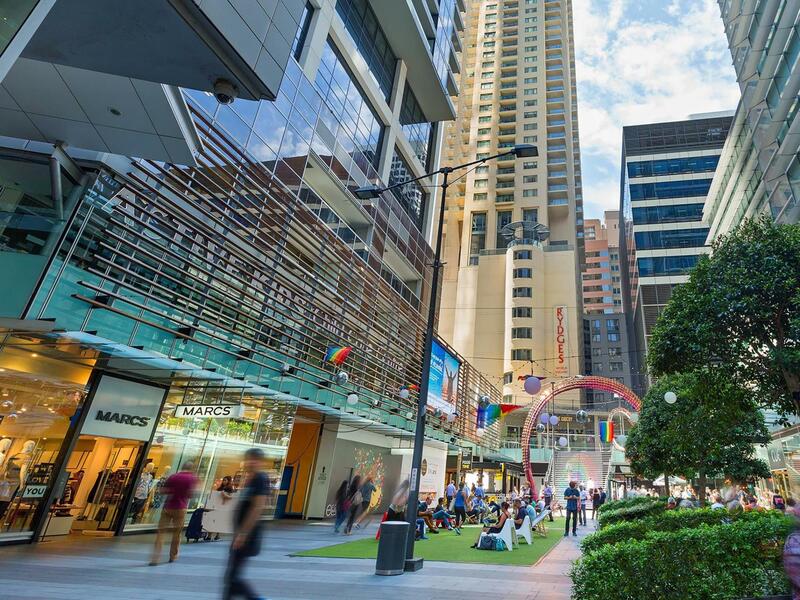 ), 10 minutes walk to the darling harbour, 10 minutes walk to the china town and paddys market, and other good things is that they have international staffs who are very helpful and friendly, me and my family really enjoyed our stay at the rydges world square. We stayed for 4 days, and really loved our experience staying at Rydges World Square. Great location, close to everything. Service was great, and we enjoyed Sydney very much, thanks to Mr Salvador, the Concierge Manager, who assisted us in some tour packages. Location is convenient - 2mins walk to Hyde park, 5mins to Darling Harbour and about 25mins to Circular Quay. Bus stop and train station are also close by. Room - was clean and spacious with the regular basic amenities. Gym is reasonable - has a couple cardio machines, range of dumbbells till 30kg, and 2-3 machines. It can get a bit crowded in the mornings. WiFi connectivity is good through the hotel. 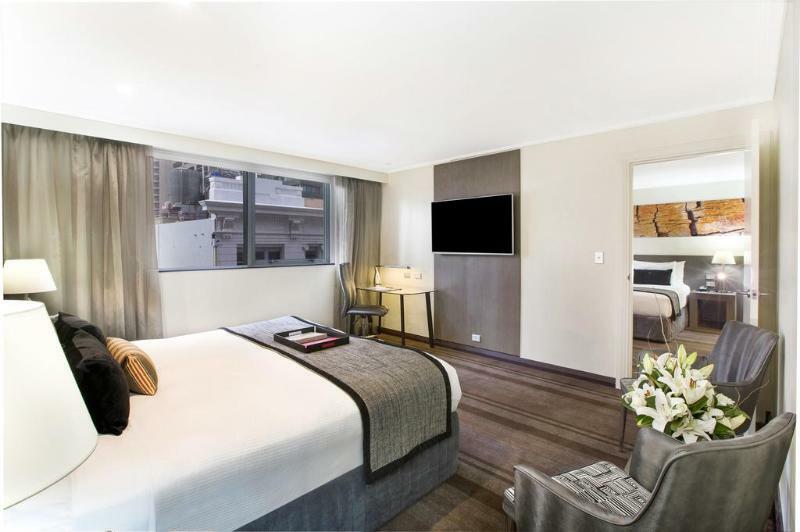 Chose this for its location , you can walk to all the f &b , shopping QVB, Midtown, Westfield and a short distance by bus or train to Circular Quay, the Rocks, Chinatown. Plenty of dining options within 1 km radius. Lovely room with a balcony, bedlinen was crisp and clean. A good sized room for two guests. By Sydney standards it’s good value. Checking in and out was prompt and efficient. A good experience overall. The hotel stay itself was great. Staff were very lovely and helpful and the room was comfortable, clean and tidy. However I was shocked to find out that there was a bond amount of $300 to pay in case of any damages. Now I understand that a bond is required in case of damages but $300 is a bit of a stretch as I've always paid $100-$150 max. while staying elsewhere and I was also always warned in advance, not on the day of arrival. Again, understandable but wish I was warned about this earlier. Another thing that kind of put me off was being accused of taking a bottle of water from the room when I haven't removed anything from the room. After clarifying with my group about whether anyone has taken anything or not and them all saying no, I approached the front desk again and advised them that I had not taken anything nor did the people in my group and the lady said that she will not charge me. Overall, despite the small inconveniences, it was an enjoyable stay and I would book again. Just perfect. Lots of eating place (quite a number of Halal outlet) all within walking distance. Within shopping mall and COLES supermarket just downstairs. Near to train stations. Friendly staff, well kept, clean, great wifi. Will come back for sure. 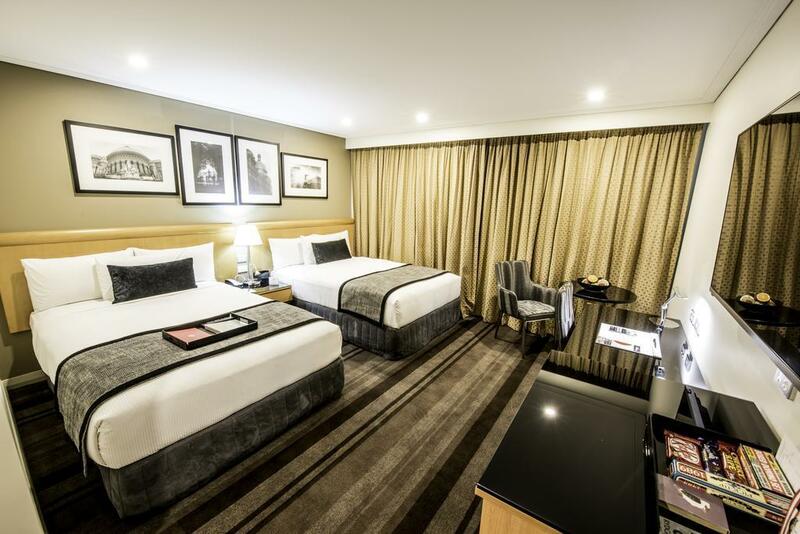 The hotel is located on one of main streets of Sydney CBD and most of all popular spots and shopping areas are in walking distances. Moreover the World Square is just below the hotel building so you are able to enjoy all different gourmet foods of restaurants as day and night. Bedding was so comfortable, and gym facility was all new and well set up. Although noise from the street annoyed me but it was understandable as I stayed on the main street. Definitely would choose here for my accommodation if I visit this city again. It's a perfect hotel for us, surrounded by so many dining places, and very easy to get around. Plus the staff was very nice, she gave us an upgrade by joining their reward program. Fantastic location on Pitt & Liverpool streets, convenient for CBD, eateries, transport, short walk to Cockle Bay etc. Despite the attached brewpub & proximity to city streets we heard no outside noise and bed was very comfortable. Deluxe King suite had great facilities. Staff were all 5-star. Would absolutely stay here again. I travelled to Sydney with family. I was not quite sure if I should book this hotel as I did see some views which concerned me a bit. However, i m very satisfied with Rydges world square. I booked two rooms for two nights. The rooms are big enough for us and reasonably clean. The breakfast is not bad. I like the yogurt with nuts. You can get $10 credit each night if you don’t request housekeeping service and place the green sign on the door. That’s for good or drinks. The staffs are very friendly. I will come back again for sure. hotel location-near to Hyde park, Sydney Botonical Garden. And 15 min. slow walk to Opera House. Near to Darling harbour and Chinese Garden. Food avialable around the hotel area. Hotel staff was well trained. Room was a good size (2 big double beds) with shower and separate bath. Ideal for a family. Location excellent, walking distance to everywhere. Only real let down was the cleanliness. There was still hair in the bathroom, sticky patches on the bench and obvious mould in the shower. Unexpected given cost of the room. We did have to ask for coffee sachets which were not decaf but housekeeping lady was lovely about it. Beds were clean, a little soft for our liking but still good. For the location we would stay here again. We had a wonderful stay here in rydges! The location was awesome.. and all the staff are superb and very helpful! They provide mostly anything we need in this hotel. The room also clean with big beds. Will def stay in this hotel again when we’re going back to sydney! My teenage kids are very happy with the location of this hotel. 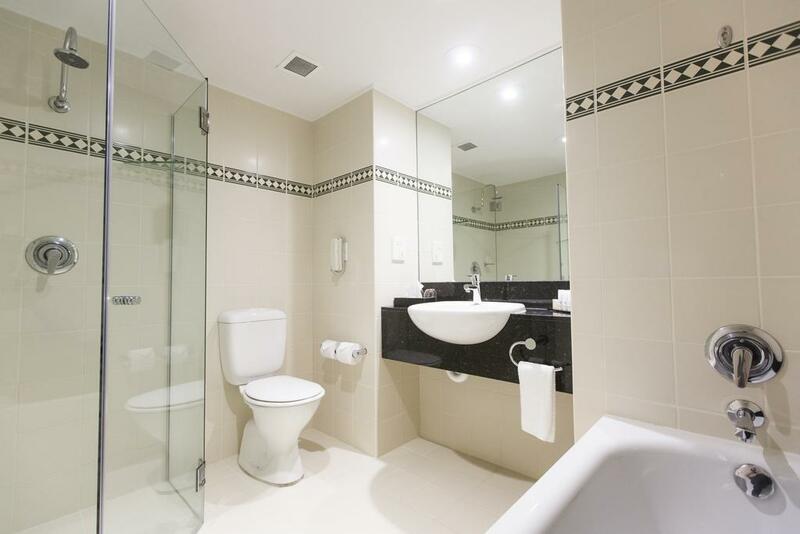 It's walking distance to most tourist sites ie Darling Harbour, Chinatown, Sydney Tower, Hyde Park, QVB., Pitt St. mall. Near 3 metro stations - town hall, central station & museum station. It's 25-30 minutes away from the airport by taxi. Great location with lots of excellent restaurants nearby. Coles supermarket & Priceline pharmacy are nearby as well. We'll definitely stay here again when we visit Sydney.